The Amateur Radio Emergency Service (ARES) consists of licensed amateurs who have voluntarily registered their qualifications and equipment for communications duty in the public service when disaster strikes. Every licensed amateur, whether or not a member in RAC or any other local or national organization, is eligible for membership in the ARES. The only qualification, other than possession of an Amateur Radio license, is a sincere desire to serve. Because ARES is an amateur service, only amateurs are eligible for membership. The possession of emergency-powered equipment is desirable, but is not a requirement for membership. ARES meets on the third Monday of each month, at 7:30pm. Meetings are held in the Mississauga Room, 1st Floor, Region Of Peel Building, 10 Peel Centre Drive near the Bramalea City Centre. Newcomers are welcome to the meetings and are invited to participate in all activities. 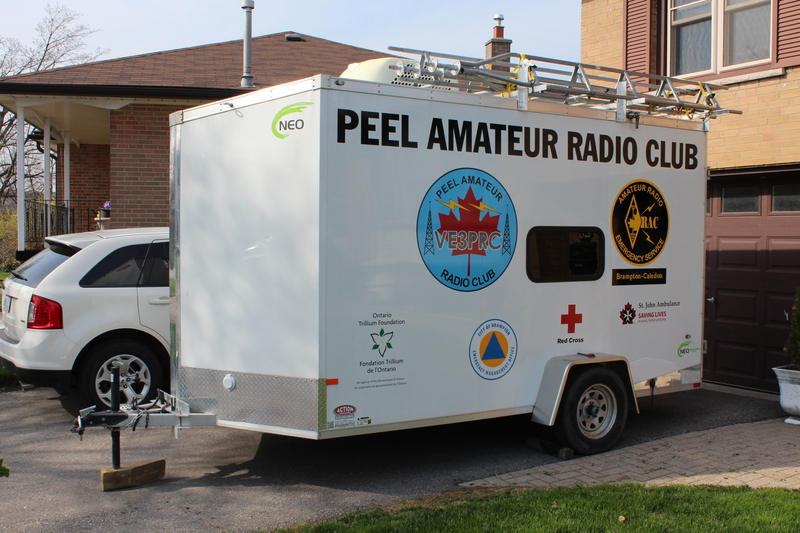 Peel Region Red Cross Primary communications provider in emergencies, ARES stations at head office, shelters and in disaster services vehicles. City of Brampton Part of the municipal Emergency Plan, ARES stations at municipal Emergency Operations Centre (EOC), alternate EOC, designated facilities around Brampton and in Emergency storage containers. Region of Peel Part of the regional Emergency Plan, ARES stations at regional Emergency Operations Centre (EOC) and alternate EOC. Town of Caledon Part of the municipal Emergency Plan, ARES stations at municipal Emergency Operations Centre (EOC), alternate EOC and designated facilities. Brampton Safe City Member of Mobile Alert program and Emergency Preparedness group. Sheridan Institute of Technology (Brampton Campus) Part of the Emergency Plan, ARES station at their Emergency Operations Centre (EOC). Provide introductory ARES training to Emergency Management students. Holland Christian Homes Host to the VE3PRC VHF/UHF and packet repeaters. William Osler Hospitals ARES stations at the Etobicoke Hospital, Peel Memorial Hospital, and new Brampton Civic Hospital. St. John Ambulance ARES stations at head office and in one of their emergency vehicles. For more information about ARES, please contact Richard Upfield VA3RMU.